WordPress stands out as a teaching tool, because it supports knowledge sharing, encourages creativity and helps prepare our children for the realities of today’s world. The increase of the use of technologies in schools has been a much talked about topic in the recent years. Some believe it to be a distraction, encouraging children to become addicted to gadgets and technology, others praise it and consider it an essential part of 21st century literacy. If the mere thought of using technology in the education system and its limitless possibilities leaves you feeling intimidated, know that you are not alone, and here is how WordPress has evolved in order to help transform teaching in the classroom. WordPress is not trying to replace the teacher; it is simply opening a door to a new world of education. It is only when we harness technology to the cause of education, rather than the other way around, that we will know if it is worth doing. WordPress had done exactly this; it has harnessed its technology to help bring classrooms to life. Through WordPress, you can connect, engage and educate without taking away any value or attention from the teachers. WordPress is a “true” aid tool, allowing both teachers and students to think BIG and express themselves in a new and exciting way. By publishing and saving work on WordPress, students are making their work available to a wider audience. Automatically by introducing an authentic audience, students become more motivated to improve their reading and writing literacy skills. It is no longer homework that only the teacher sees, but now it can be viewed by fellow classmates, parents, friends and anyone who is interested in reading up on that topic. Sharing knowledge and receiving feedback from a young age teaches children confidence to express themselves, and to engage in thoughtful discussion. By publicly sharing work on WordPress, be it essays, math equations or poetry, students are often sharing their work with a global audience. Students this way get the opportunity to interact, exchange ideas and discuss various topics with others across the world. Often when travelling isn’t available to all, WordPress brings this experience back to the classroom. The consequences of intolerance towards “different” world views are all around us to see. Tolerance is taught from a young age and through WordPress and “blogging buddy” communities, children can develop a sense of understanding and learn a lot about the world in which they live. Accepting the fact that today’s society is becoming more tech savvy, we find ourselves asking the question, how young is too young for technology, it is becoming more apparent we can not run from it. Nor should we. Children will start using Facebook ,Twitter, Instagram and browsing Google, and even before that watch Peppa Pig on tablets and phones, so instead of banning the internet, why not teach them to use it responsibly. WordPress in classrooms, can be monitored by teachers, who through publishing with students can teach them what is acceptable and what is not. By introducing WordPress, children from a tender age see the vast learning opportunities that technology can provide, the internet becomes a learning hub. The teacher brings motivation to the table, whereas WordPress brings active learning. Active learning by definition is engaging in activities and evaluating class content. WordPress allows teachers to invite students to contribute to group projects or blogs directly. It’s easy and creating a new user account takes seconds. Many teachers take the opportunity not only to use WordPress for group projects, but also as a service that reviews all lessons, giving students relevant information and resources where they can research the topic further. Having a WordPress class blog is a great way of keeping the parents in the loop. Now with most parents working full time, often they feel not involved enough in schoolwork. A blog can help teachers to keep meaningful contact with parents updating them on upcoming events. They can embed a google calendar in their blog with key events, so that parents will never again miss an important school play or band performance. WordPress allows teachers to upload documents to the Media Library and to send them to colleagues and administrators. This is a great tool to have, because even teachers need a little bit of help with lesson planning. It facilitates an exchange of ideas among teachers and discussion about what was most effective in each lesson, how children reacted to certain material and what they found easy or difficult. Teachers don’t need to be professional bloggers or programmers in order to have a great site and use it for various things. WordPress has many features, which allow you to have more than one site. If you teach more than one subject, you are able to easily create multiple sites under one account. There is also no need to fear security. Teachers are able to limit access to any part of their site by adding a password to a page they want to protect. Equally, entire sites can be security protected and access can be given to certain individuals only. If you are still sitting on the fence and can’t decide whether WordPress seems like an essential tool in teaching, allow me to mention a further few practical benefits that might help you decide. Staying in line with traditional teaching, which has over time proven that visual aids enhance learning, because of the connection made between visual clues, the memory process and the recall of new knowledge. Taking this on board, WordPress has made it incredibly simple to embed videos and upload images. Throughout the teaching content, teachers can embed videos that break up the lesson or upload images that clarify the information talked about. There is nothing fancy or complicated about this, with a simple tool the lesson becomes instantaneously more dynamic and engaging. 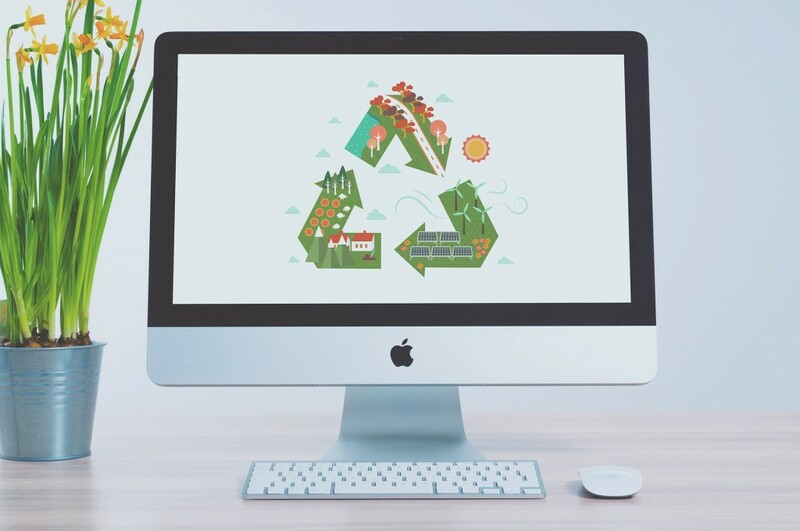 Did you also know that WordPress is practical for the environment? Reduce. Reuse. Recycle. Living in today’s consumerist society it’s important we do everything we can to save our environment. WordPress is contributing to a cleaner future by introducing its technology into schools. Teachers are taking the initiative and starting paperless classes, reducing the amount of paper used in schools. Using fewer resources is the most effective way to protect the environment. Create a student blogging challenge, where each student has to write a post every day for 30 days on a chosen topic. Create a news thread, where each morning either you (or encourage students) write a news story that everyone spends 10 minutes reading and then open a discussion. Encourage students to start a journal or notebook and give them feedback on their writing. Start using WordPress to communicate assignments or announcements. Like all things sweet, technology should be used in moderation. We must also conclude that technology is, for a lack of better words, all around us, and it has revolutionized the way we think and develop. Maybe a “flipped classroom” is something to think about? Thanks Nevena. This is brilliant. I am going to start getting my daughters involved since they both like to write anyway. It should be fun.